This national tragedy that has to end. The first nationwide survey of US high school students to account for sexuality found staggering levels of despair among the country’s LGB youth. The study did not include statistics specific to transgender students. The statistics confirm troves of local studies, anecdotal evidence, and broad awareness that LGBT youth are harassed and ostracized, but the scale of the study makes the revelations shocking. 40 percent of the roughly 1.3 million gay, lesbian, and bisexual high school students in the US have seriously considered suicide, and 29 percent of those surveyed had attempted suicide in the 12 months preceding the survey. LGB students are five times more likely to use illegal drugs, three times more likely to be raped, two and a half times more likely to experience sexual dating violence, two times more likely to experience physical dating violence, and nearly twice as likely to be bullied both online and at school. Sixty percent have felt so sad or hopeless that they stopped doing activities they cared about. High school is difficult for many young people. But this is an order of magnitude verging on persecution, reflecting deep cultural problems, and highlighting how LGBT people in US society — and across the world — are dehumanized. Revealing one’s sexuality can lead to physical and emotional violence, but concealing it can lead to a whole different kind of internal turmoil. It’s a catch-22 that’s driving many young people to despair. And it’s national tragedy that has to be changed. Most immediately, therapy and other mental health programs have to be extended to youth across the country. Any young person who is feeling hopeless should have support programs that can help them through their hardship. Beyond this, programs for learning how to defuse and end bullying, how to cope, how to embrace one’s self, how to treat people with respect, and more, have to be funded and expanded across the country. And then, more fundamentally, people everywhere have to learn how to appreciate and care for one another. This tragedy cannot be allowed to continue in the US or anywhere in the world. Currently, around 79 countries deem homosexuality illegal and punish offenders with prison sentences, lashings and even death. Sometimes, communities take out their hatred out on the streets and murder gay people. 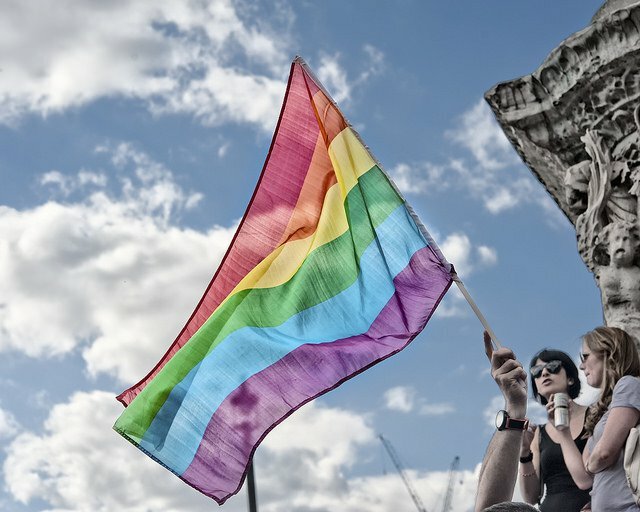 In nearly all countries, gay people face ridicule and harassment and unequal representation under the law. When you consider this, it’s amazing that the gay community has persevered and achieved rights and acceptance in places. Just this week, The Daily Beast published a wildly unethical and cruel piece about a reporter baiting gay athletes on the dating app Grindr to “out” and humiliate them. The report had a much more sinister aspect to it as well — many of the athletes were from countries where homosexuality is brutally repressed. Eventually, the publication took the piece down, but it showed just how casually hate is permitted, and even celebrated, across the world. The one good thing that comes out of this report is the awareness it brings. With irrefutable data, a strategy can be crafted and funded and mobilized. In the next decade, hopefully this initial report will be viewed as a turning point when the country finally addressed the oppression of the LGBT community.